The bastards beat me to it. I had this plan, you see, to try and make the most beery burger the world had ever seen. 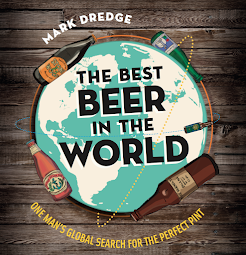 A cheeky little tie-in to plug my new book – Beer and Food, coming soon! Pre-order it now! – that would challenge me to use as much beer as possible and still get a delicious burger. 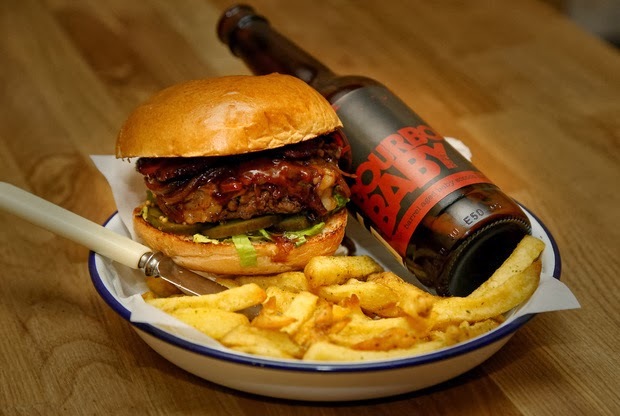 And then BrewDog and Honest Burger did it with the BrewBurger. Something so boozy you need an ID to order it. Despite my DIPA-level of bitterness, I still wanted to eat it. I had to eat it, in fact. I couldn’t not eat it. I mean, look at it. It’s a magnificent masterpiece of meat. And I say this as someone who spends most of my internet browsing (the non-incognito hours anyway) looking at photos of burgers. The burger stacks 5am Saint candied bacon, Punk IPA onions and a Paradox BBQ sauce along with comte cheese and Honest’s brilliant beef patty. And it’s excellent. The use of beer is subtle, adding depth of flavour instead of just being a gimmick. The meat is always good at Honest and the bun is so soft and sweet. It comes with a Bourbon Baby, BrewDog’s barrel-aged scotch ale which tastes a bit like JD and coke, in a good way – sweet vanilla, molasses, wood, spice. If you like burgers and beers then try the BrewBurger while you can. In the meantime, I’m going to have to come up with a better idea for this book launch… Beer pizza, perhaps? The beer bakery?